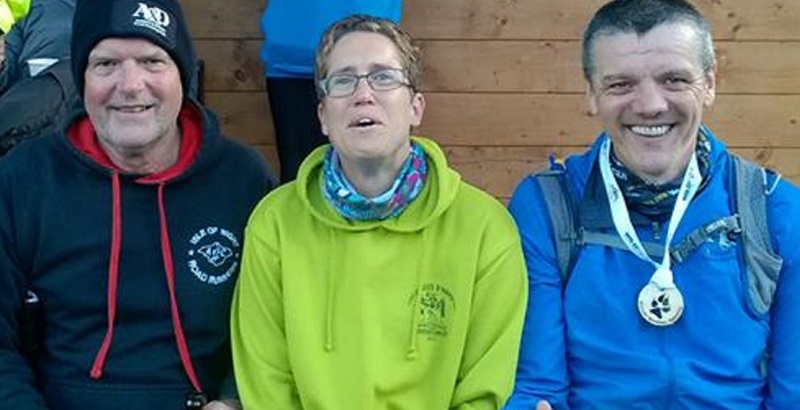 Three club members made the long trip to the Scottish Highlands to attempt to complete possibly one of the toughest marathons in the UK; the Glencoe Marathon. This epic off road marathon ascends an eye watering 1608 meters through the heart of Glencoe, taking the runners through plenty of challenging climbs and, with recent heavy rain, making the course even more challenging underfoot. The runners battled through the tough conditions all the way to the finish under the shadow of Ben Nevis. Recent injuries meant both Eddie Rodger and Steve Hickman had been unable to train to their usual high standard for the race, but still showed great determination to finish. Eddie Rodger came home in a time of 7:00:31 and Steve Hickman completed his 129th marathon in 7:26:15. Helen Weeden, despite suffering from illness, bravely battled to the half way point before she had to pull out. Dave Hunt trimmed 7 minutes from his personal best at the Jersey Marathon on Sunday. Dave came home in 87th place in an excellent time of 3:41:16. Christine Costiff completed the Crickadale half marathon on Sunday in a time of 1:42:16. Gill O’Connor completed the Basingstoke half marathon in a time of 1:43:33. At the Sittingbourne 10 mile Anthony Brown had a successful warm up to his upcoming Amsterdam marathon later this month, as he finished 27th in a time of 1:09:43, and following him home for the club was Rhian Shrimplin, who came 76th in a time of 1:20:30, and Stu Nunn who ran a personal best as he finished 120th in 1:27:11.